The Kindergarten Curriculum Guidelines support educators to plan curriculum which will assist learners to develop general capabilities that encompass the knowledge, skills, attitudes and dispositions that support learners in the 21st century. To be successful learners, children will be encouraged to be confident, creative problem solvers immersed in environments where they can explore multiple perspectives and ways of working. The Kindergarten Curriculum Guidelines have been developed in the knowledge that the Kindergarten year precedes the Pre-primary year, the first year of compulsory schooling in Western Australia. The focus of the Guidelines is on children's learning and development consistent with the emphasis in the EYLF. Kindergarten educators should be aware of how the Guidelines articulate with the Western Australian Curriculum and Assessment Outline. The Outline describes the curriculum for Pre-primary to Year 10 in terms of eight learning areas: the Arts, English, Mathematics, Health and Physical Education, Humanities, Languages, Social Sciences, Science and Technologies. IDENTITY - Children have a strong sense of identity. 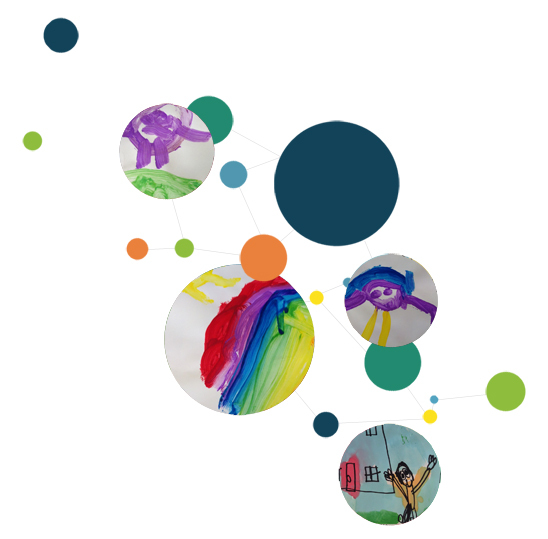 CONNECTING and CONTRIBUTING - Children are connected with and contribute to their world. WELLBEING - Children have a strong sense of wellbeing. LEARNING and THINKING - Children are confident and involved learners. COMMUNICATING - Children are effective communicators. The outcomes and related content in the EYLF are relevant to children, birth to five years (EYLF, 2009, p.19). In the Guidelines the five learning and development areas and related content have been developed specifically for the Kindergarten year in Western Australia. The content included in the following tables is offered as a guide for teachers to modify, as appropriate, to meet the needs of their learning community. As children grow and develop at different rates and come to Kindergarten with vastly different experiences, not all children are expected to achieve all the content described by the end of the Kindergarten year. Examples of some links from the Kindergarten Curriculum Guidelines to the Pre-primary curriculum are provided.